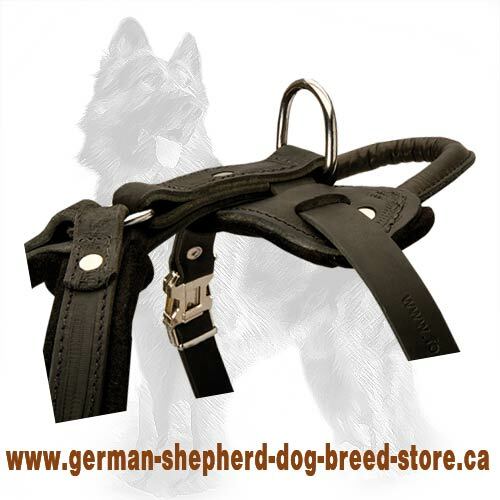 If you are trying to find a secure dog equipment for complex training sessions, you are absolutely right looking for it on our site for professional German Shepherd breeders and trainers. Pay your attention to Super Comfy Agitation Training Harness that is made of high quality natural leather. All its elements are stitched by hands of our diligent craftsmen, so this supply will serve for years. 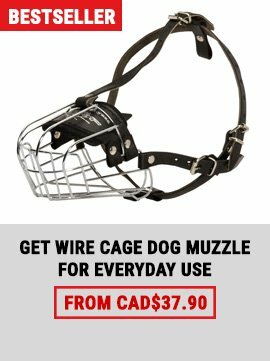 It has innovative design that implements all your dreams about safety and comfort for your doggy during attack training. We have already noticed that the harness is made of full grain genuine leather. This material is rather pleasant for a dog’s skin. But we have done even more to increase comfort – it has additionally felt padded wide chest plate and wide leather straps. A neck strap is padded with thick felt too. So you can forget even about thinking of your pet’s skin irritation or rubbing using this amazing supply. Among other harnesses this one differs not only by super softness, but by perfect protection from pain while agitation training. Besides, it is excellent model for everyday usage. 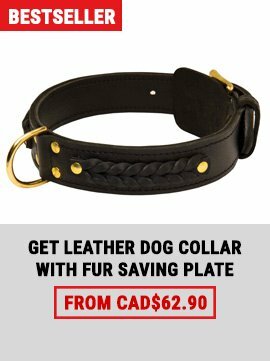 In such item your German Shepherd won’t feel himself harnessed. Its softness will make him move freely and without any obstacles. This Comfy Padded Dog Harness can be adjusted in 4 ways. 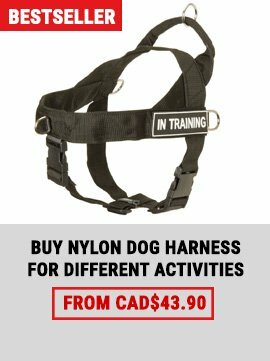 Just fix the straps according to your dog's body and use easy quick release buckle to put this harness on. In the future you shouldn't repeat all this procedure, use only a buckle. And don't doubt, this supply has long service life. All its parts are stitched and riveted for more durability. The fittings, no matter of what color it is – golden or silver, are protected from corrosion with special covering. 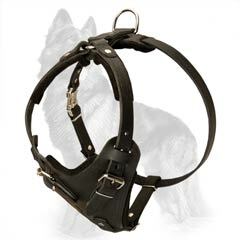 This harness is equipped with durable steel ring for reliable leash attachment. Also you may purchase this supply with a comfortable handle. This addition will help you to keep your German Shepherd under control. If you need it, don’t forget to sign this option in order list.